ONE OF THE REMAINING SITES IN THE HEART OF BUSINESS. ADJACENT TO I-90. WITH CONTROLLED INTERSECTION AT THEATER ROAD AND MIDWEST DRIVE. MAYO CLINIC ACROSS THE ROAD. . . .
RARE OPPORTUNITY/LARGE 277 +/- ACRE PARCEL MINS TO CITY CENTER. SUPER DEVELOPMENT OPPORTUNITY, INVESTMENT OR SIMPLY ENJOY YOUR COUNTRY ESTATE WITHOUT A COMMUTE. VARIED . . . THIS IS AN EXCELLENT DEVELOPMENT SITE! THERE ARE SEVEN PARCELS OF LAND, ALL INCLUDED IN THE SALE PRICE.BEAUTIFUL RICH LAND WITH MANY VIEWS AT THE EDGE OF TOWN , FOR . . . HIGHLY VISIBLE SITE ON HWY 35 AND SCHALLER INTERSECTION. ADJACENT TO ADDITIONAL COMMERCIAL AND INDUSTRIAL SITES. LARGE RESIDENTIAL ACROSS THE STREET. IDEAL FOR . . .
GREAT OPPORTUNITY!! SELLER HAS DONE SOME OF THE WORK FOR YOU. SURVEY, ANNEXATION &AMP; PRELIMINARY ARCHAEOLOGICAL STUDY COMPLETE, PRELIMINARY AGREEMENT WITH THE VILLAGE . . .
PRIME DEVELOPMENT LAND CLOSE TO THE VILLAGE WITH POTENTIAL TO ANNEX. THIS BEAUTIFUL PIECE OF LAND WOULD MAKE THE NEXT GREAT HOLMEN DEVELOPMENT OR YOUR OWN PERSONNEL . . .
HIGH VISIBILITY INTERSECTION OF HWY 35/53 LOCATED IN THE FRONT ROW OF LARGE COMMERCIAL AND INDUSTRIAL DEVELOPMENT. GREAT CONVENIENCE STORE SITE OR ANY BUSINESS LOOKING . . . HIGHLY VISIBLE SITE ON HWY 35 AND SCHALLER INTERSECTION. ADJACENT TO ADDITIONAL COMMERCIAL AND INDUSTRIAL SITES. LARGE RESIDENTIAL ACROSS THE STREET. DEVELOPER TO . . . ACRES AND ACRES OF TILLABLE FARM LAND, APPROXIMATELY 185 ACRES, WITH A NICE PORTION OF PASTURE, APPROXIMATELY 35 ACRES, WHICH HAS A GOOD, SOLID FIVE STRAND BARBED WIRE . . . THIS PROPERTY IS IN A BEAUTIFUL VALLEY SETTING SURROUNDED BY WOODED HILLSIDES. 100+/- ACRE CROPLAND. THE WILDLIFE ABOUNDS, MANY TROPHY DEER HAVE BEEN HARVESTED ON THIS . . .
JUST WHAT YOU HAVE BEEN LOOKING FOR! OPPORTUNITY FOR GREAT SITE FOR YOUR NEXT COMMERCIAL BUSINESS VENTURE. NUMEROUS SIZE LOTS &AMP; CAN SUB-DIVIDE. ALL MUNICIPAL . . .
PRICE GREATLY REDUCED - NOW $995K FANTASTIC LAND AVAILABLE WITH BEAUTIFUL VIEWS AND LOTS OF WILDLIFE IN LA CROSSE COUNTY WITH MANY OPTIONS AVAILABLE. 244 TOTAL ACRES OF . . .
GREAT OPPORTUNITY FOR COMMERCIAL OR MIXED-USE DEVELOPMENT. 46 ACRES INSIDE OF WESTBY CITY LIMITS; 6 ACRES IN TOWN OF CHRISTIANA. SUITED FOR COMMERCIAL DEVELOPMENT ON HWY . . . HERE IS WHAT WE HAVE BEEN WAITING FOR! COMMERCIAL/INDUSTRIAL/WAREHOUSE/MANUFACTURING SITES. VARIOUS SIZES AND ACREAGES AVAILABLE WITH VILLAGE UTILITIES. ACREAGE RANGING . . . THIS IS PRIME DEVELOPMENT LAND OR OWN YOUR OWN PIECE OF PARADISE. WITH PICTURE PERFECT VIEWS OR YOU CAN ENJOY THE BABBLING CREEK LOCATED BELOW. THIS 57 ACRES IS CLOSE TO . . .
BEAUTIFUL PROPERTY! PRIME HUNTING. FANTASTIC VIEWS. PER TAX REPORT 164.36 ACRES. 2.14 ACRES OF PRIME COMMERCIAL LAND. LOCATED ACROSS THE STREET FROM THE MAYO CLINIC. PERFECT FOR A HOTEL, RESTAURANT, OFFICE BUILDING OR RETAIL. RECTANGULAR SHAPED . . .
DREAM PROPERTY! THIS 210 ACRES SITS AT THE VERY END OF A DEAD END THAT EXPANDS OUT THE RIDGE WITH STUNNING VIEWS IN ALL DIRECTIONS. WOULD MAKE A FANTASTIC BUILDING SITE . . . HIGHLY VISIBLE SITE ON HWY 35 AND SCHALLER INTERSECTION. ADJACENT TO ADDITIONAL COMMERCIAL AND INDUSTRIAL SITES. LARGE RESIDENTIAL ACROSS THE STREET.DEVELOPER TO . . .
120 ACRES OF PREMIUM HUNTING LAND WITH GORGEOUS VIEWS. RARE PRIVATE HOMESITE WITH ACREAGE! NINETY-SEVEN ACRES TO BE EXACT! LOCATED JUST 5 MILES EAST OF HOLMEN AT THE END OF OLSON RD YOU WILL FIND THE LAND THAT YOU HAVE BEEN . . . BUILD YOUR DREAM HOME OR A PERFECT SPOT FOR THE NEWEST DEVELOPMENT WITH CLOSE PROXIMITY TO THE VILLAGE. THIS PROPERTY IS NESTLED ALONG THE WOODS WITH A COUNTRYSIDE . . .
134.75 ACRES!!! YOUR PIECE OF PARADISE! THIS IS AN AMAZING PROPERTY WITH RIDGE AND VALLEY, WOODED TO OPEN PASTURES- EVERY OPTION FOR WILDLIFE, AND THE TAXES ARE ONLY A . . . IF YOU LIKE WATERFOWL HUNTING, DEER HUNTING AND TURKEY HUNTING YOU�RE IN LUCK, THIS PROPERTY OFFERS EVERYTHING YOU DESIRE! THERE ARE 495.58 ACRES TOTAL..318 ENROLLED IN . . .
A NICE COMBINATION OF CROPLAND &AMP; WOODS. IDEALLY LOCATED ABOUT 10 MILES WEST OF VIROQUA &AMP; 25 MILES FROM LA CROSSE, THIS PROPERTY IS READY FOR CONTINUED . . . HUGE PRICE REDUCTION !!! INTERSTATE ACCESS AND VISIBILITY AT CORNER OF STATE HWY 27 AND I-90. ALSO BORDERS STATE BIKE TRAIL AND AREA OF OTHER INTERSTATE EXIT . . .
TOTAL SECLUSION IS OFFERED ON THIS 90+/- ACRE PARCEL. ACCESS WILL BE OVER 1/2 MILE LONG EASEMENT ON EXISTING FIELD ROAD. LAND IS APPROXIMATELY 37.5 ACRES TILLABLE WITH . . .
DEVELOPMENT OPPORTUNITY IN THE VILLAGE OF HOLMEN! 2.8 ACRES WITH APPROXIMATELY 360 FT OF FRONTAGE ON MCHUGH RD, ADJACENT TO THE PLANNED HOLMEN AREA COMMUNITY CENTER. 2 . . .
2 ACRES IN PRIME LOCATION IN TOWN OF MEDARY RIGHT NEXT TO CITY OF LACROSSE. PROPERTY IS CURRENTLY RESIDENTIAL BUT CAN BE REZONED TO FIT YOUR NEEDS. CAN STAY IN MEDARY OR . . .
PRIME EMERALD VALLEY LOCATION. THIS AMAZING SITE IS SECOND TO NONE. OWNED BY THE DEVELOPER THIS INCREDIBLE SITE HAS BEEN HELD FOR OVER 20 YEARS! HERE IS YOUR OPPORTUNITY . . . THIS PROPERTY WOULD BE IDEA TO BE DEVELOPED INTO MULTIPLE CAMPING SITES AND/OR BUILD COMMERCIAL BUILDINGS. VIEW OF THE MISSISSIPPI RIVER, BOAT LANDING NEAR BY FOR EASY . . .
OWN HECK'S POINT! ONCE IN A LIFE TIME CHANCE TO OWN YOUR OWN MILLION DOLLAR VIEW OF THE GREAT MISSISSIPPI RIVER VALLEY. 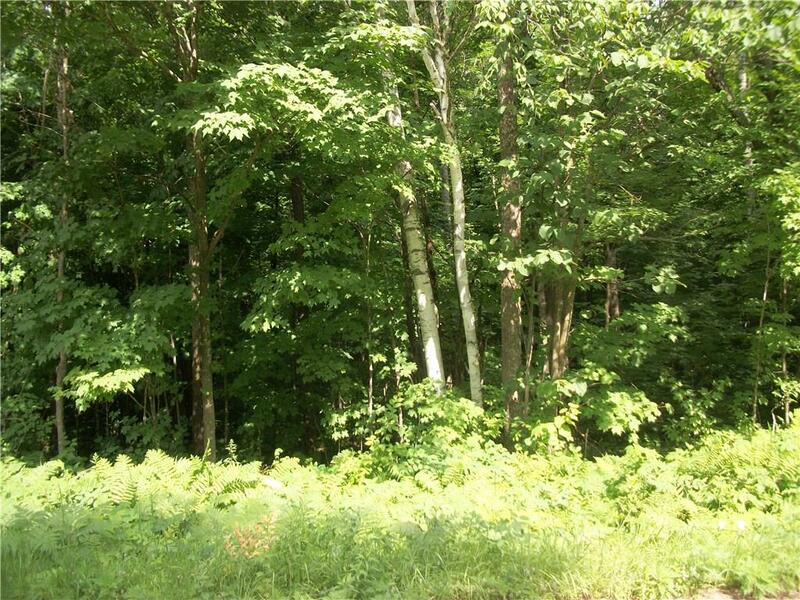 LARGE PIECE OF MOSTLY WOODED LAND WITH VIEWS, . . . TERRIFIC LOCATION WITH HIGH VISIBILITY BY HWY 35/53 ON/OFF RAMP THE GATEWAY TO HOLMENS TIF DISTRICT. EXPOSE YOUR BUSINESS WITH LOCATION AND ACCESS. GREAT OPPORTUNITY TO . . .
AMAZING OPPORTUNITY TO OWN 101 ACRES OF OF PRIME DRIFTLESS COUNTRY. THE GORGEOUS ROLLING HILLSIDES ARE FULL OF DEER, TURKEY AND SMALL GAME. THERE IS A GOOD SYSTEM OF . . .
ON THE LA CROSSE COUNTY AND VERNON COUNTY LINE IS THIS 61 ACRES. THE PROPERTY HAS MULTIPLE ACCESS POINTS FROM COUNTY ROAD K AND CEDAR HILLS LANE. THIS PROPERTY HAS A . . .
115 ACRES LOCATED IN THE DRIFTLESS AREA OF SOUTHWESTERN WI WITH RIDGE TOP SETTING AND AMAZING 30 MILE VIEW. 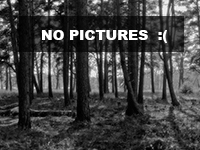 115 ACRES WITH 40 ACRES IN PLANTED PINES AND HARDWOOD TREES . . .
OVER 7 ACRES ON A FLAT TO SLOPING LOT WITH GREAT VIEWS OF THE GREENS COULEE BLUFFS. THIS PRIME ONALASKA LOCATION IS RIGHT AT THE END OF A CUL DE SAC WITHIN THE MAPLE . . .
HIGH DEMAND 17.26 ACRE INTERSTATE FRONTAGE COMMERCIAL LOT DEVELOPMENT OR BUILDING OPPORTUNITY! STRATEGICALLY LOCATED BETWEEN MINNEAPOLIS, MN (165 MILES) AND MADISON, WI . . .
80+/- ACRE MOSTLY TILLABLE PARCEL WITH STREAM! VERY PRODUCTIVE PIECE WITH APPROXIMATELY 53.5 ACRES CURRENTLY BEING PLANTED AND REMAINDER IS PASTURED. STREAM STAYS OPEN . . . 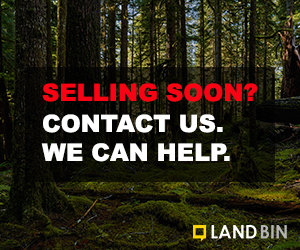 HERE'S YOUR CHANCE TO OWN A GREAT PIECE OF HUNTING LAND. LOTS OF DEER AND TURKEYS WITH MANY VERY NICE BUCKS BEING HARVESTED IN THE LAST FEW SEASONS ON AND ADJACENT TO . . . THE PROPERTY IS LOCATED IN THE TOWN OF HONEY CREEK AT S7944 COUNTY ROAD PF. THE HOUSE IS BEING SOLD IN AS-IS CONDITION AND WILL NEED SOME WORK OR CAN BE REMOVED AND BE . . .
80.09 ACRES THAT OFFERS A LITTLE BIT OF EVERYTHING FOR YOU TO ENJOY. PROPERTY HAS A NICE CREEK FLOWING THROUGH WITH ABOUT 40 ACRES OF NEWLY FENCED IN PASTURE. AROUND 17 . . .
57 ACRES M/L, TILLABLE AND WOODS, IN MFL TIL 2028. CURRENTLY RENTED AS CROP GROUND. SHARED WELL, TOBACCO BARN, GOOD BUILDING SITES. FRONTAGE ON STATE HIGHWAY 56 AND WAPP . . . FANTASTIC HUNTING LAND OFF OF COX HILL ROAD. THIS LAND ADJOINS MLS # 1617629 &AMP; #1617622. FLEMING CREEK RUNS THROUGH TAX PARCEL 5-1383-0. PLENTY OF WILDLIFE FOR THE . . . ESTABLISH YOUR OWN HUNTING AREA ON THIS GREAT PROPERTY. APPROXIMATELY 26 MILES FROM DUBUQUE, IA AND ONLY 20 MILES FROM PLATTEVILLE, WI. 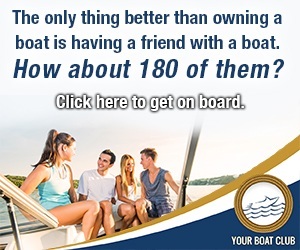 LOTS OF INCOME POTENTIAL WITH . 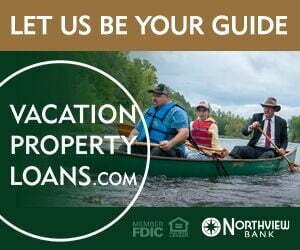 . .
BRING YOUR BUSINESS TO THE ACTIVITY HUB OF CENTRAL WI, THE HIGHEST DESTINATION CHOICE FOR RETIREMENT AND VACATION. PERFECTLY LOCATED ON THE BUSIEST INTERSECTION OF ADAMS . . .
RARE 5.28 ACRE STATE HIGHWAY 16 FRONTAGE COMMERCIAL LAND BUILDING OR DEVELOPMENT OPPORTUNITY! THE LAST COMMERCIAL ZONED LAND HEADING WEST ON HWY 16 / W WISCONSIN ST IN . . .
OVER 70 ACRES OF NATURAL WONDERS, THIS LAND IS IN A CONSERVATION EASEMENT PLAN TO PROTECT IT BEAUTY AND NATURAL WONDERS. OVER 1000FT OF THE WEST FORK TROUT STREAM, . . .
FABULOUS ACREAGE WITH STUNNING BUILDING SITE. HUNT, PLAY AND LIVE PEACEFULLY. ACCESS TO PROPERTY WILL BE OFF SCOTCH COULEE RD. E.SURVEYING IN PROCESS. WINDMILL NOT . . .
PROVIDING HIGH PERFORMANCE COMMERCIAL/INDUSTRIAL OPTIONS FOR THE COMMUNITY WHILE PRESERVING AND SUSTAINING THE NATURAL BEAUTY OF THE AREA. KINGS BLUFF BUSINESS PARK IS . . .
OVER 4 ACRES ON A FLAT TO SLOPING LOT WITH GREAT VIEWS OF THE GREENS COULEE BLUFFS. THIS PRIME ONALASKA LOCATION IS RIGHT AT THE END OF A CUL DE SAC WITHIN THE MAPLE . . . INCREDIBLE LARGE BUILDING SITE OVERLOOKING EMERALD VALLEY. THIS SLOPING ACREAGE OFFERS VIEWS OF THE LACROSSE COUNTRY CLUB GOLF COURSE. THE PERFECT LOCATION TO BUILD YOUR . . .
31+ ACRES OF WOODS AND GROOMED TRAILS WITH ENDLESS POSSIBILITIES. THIS PROPERTY HAS SEVERAL BUILDING SITES, OR USE FOR A PRIVATE RETREAT TO RELAX AND ENJOY THE PEACEFUL . . . SOME OF THE VERY BEST TROUT FISHING AND HUNTING OFFERED IN THE MIDWEST. PLENTY OF WOODS FOR DEER, TURKEY, AND SMALL GAME HUNTING. THE NORTH FOLK OF THE BAD AXE RIVER . . . 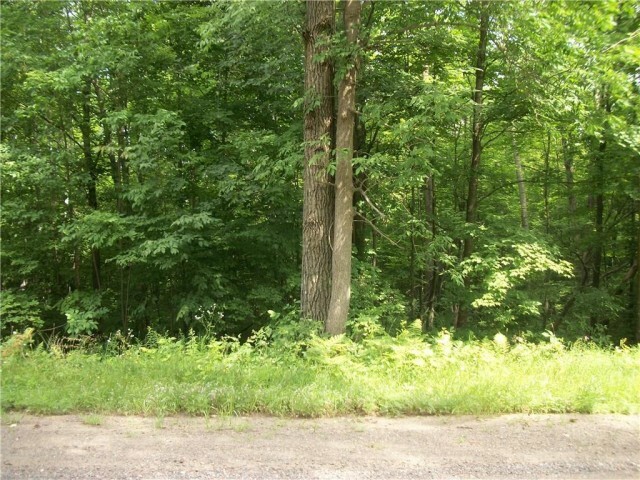 THIS 32+ ACRE PARCEL OFFERS THE TRANQUILITY OF COUNTRY LIVING RIGHT IN THE CITY OF SPARTA. IT IS THE PERFECT PLACE TO BUILD YOUR PASTORAL COUNTRY ESTATE...SIMPLICITY, . . .
FIRST TIME OFFERED FOR SALE. THIS PROPERTY HAS BEEN IN THE FAMILY FOR 164 YEARS! KNOWN TO THE LOCALS AS WILDCAT MOUNTAIN, THIS PARCEL IS A PIECE OF HISTORY. ACCESS TO . . .
ZONED R-5 BRING YOUR IDEAS, BLOCKS AWAY FROM BOTH COLLEGES. VACANT LOT W/ RENTAL HOME TO THE EAST. THE VACANT LOT AND RENTAL HOME BEING SOLD AS A PACKAGE. LOTS OF FOOT . . .
OPEN TILLABLE PARCEL, OVER 35 ACRES, WITH A SMALL PORTION OF WOODS IN ONE CORNER (APPROX. 3 ACRES). LOCATED ON THE EDGE OF THE CITY OF WESTBY, EASY ACCESS WITH A PAVED . . . 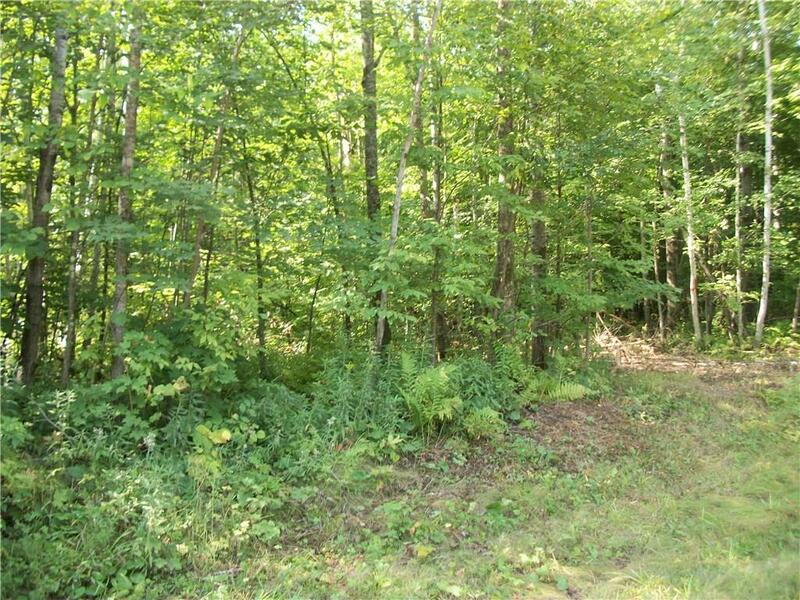 HIGHLY DESIRABLE 30+/- ACRE PARCEL OF LAND JUST MINUTES FROM HOLMEN! GREAT MIX OF PASTURE AND WOODED FOR AWESOME WHITETAIL HUNTING. BUILDABLE SPOT TO BUILD YOUR DREAM . . . HERE IS AN OPPORTUNITY FOR YOU TO LOCATE YOUR INVESTMENT! VARIOUS SIZE MULTI-FAMILY LOTS AVAILABLE. SIZED TO ACCOMMODATE 4-6 UNIT BUILDINGS. ADJACENT TO ACRES OF . . .
COMMERCIAL LOTS IN CEDAR CREEK BUSINESS PARK. IMPROVED SITES 1/2 ACRE &AMP; UP. LOCATED AT HWY OT &AMP; HWY 53 INTERCHANGE. MIDWAY EXIT. 1500' OF PRIME HWY EXPOSSURE W . . . THE TIME HAS COME TO BUILD THAT NEW HOME YOU HAVE BEEN DREAMING OF AND THIS IS THE PERFECT LOCATION. JUST SOUTH EAST OF LACROSSE, WILLOW HEIGHTS OFFERS GENEROUSLY SIZED . . .
COMMERCIAL LOTS IN CEDAR CREEK BUSINESS PARK. IMPROVED SITES 1/2 ACRE &AMP; UP. LOCATED AT HWY OT &AMP; HWY 53 INTERCHANGE. MIDWAY EXIT. 1500' PRIME HWY EXPOSURE W EASY . . . THIS 54.66 ACRE PARCEL HAS IT ALL! MANY FANTASTIC BUILDING SITES, GREAT HUNTING, MOSTLY WOODED WITH ABOUT 10 ACRES OPEN FOR AGRICULTURE/FOOD PLOTS. PARCEL IS MOSTLY . . .
GREAT PARCEL FOR YOUR NEW HOME OR HUNTING/RECREATION. GOOD MIX OF WOODS AND OPEN LAND. MUCH OF THE BOUNDARY ALREADY FENCED ALONG WITH SOME INTERNAL FENCING FOR PASTURING . . .